Document Notes: Arthur D. Jacobs, Major, USAF, Retired, born a U.S. citizen, was interned with his German parents at Crystal City, Texas where Japanese Americans were interned with their Japanese parents. Jacobs sued to obtain equal treatment under the law and receive redress for German Americans. 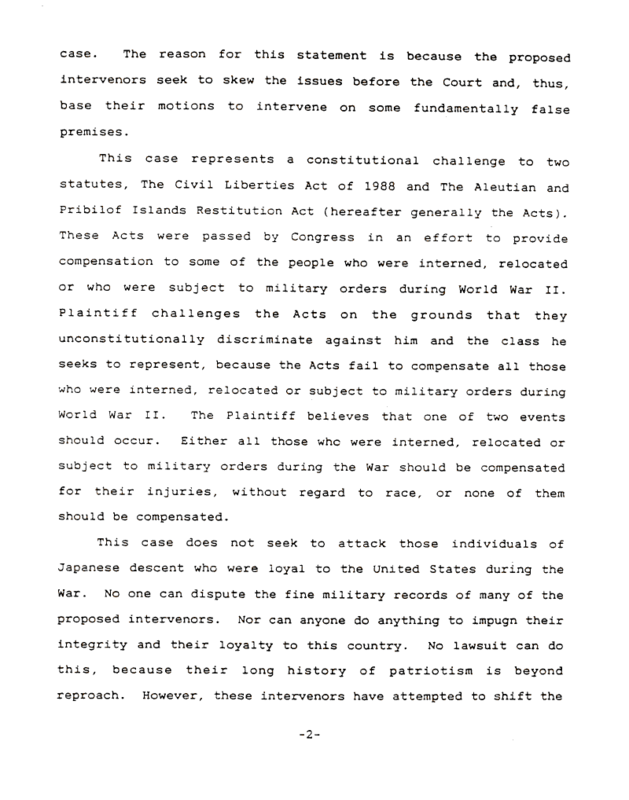 The Japanese American Citizens League and Fred Korematsu intervened to deny German Americans redress. The irrational favoring of one race over another is often called racism.